Pond's Age Miracle Cell ReGen Day Cream SPF 15 PA++ Enhance the overall radiance of your skin while reducing the appearance of fine lines and wrinkles. 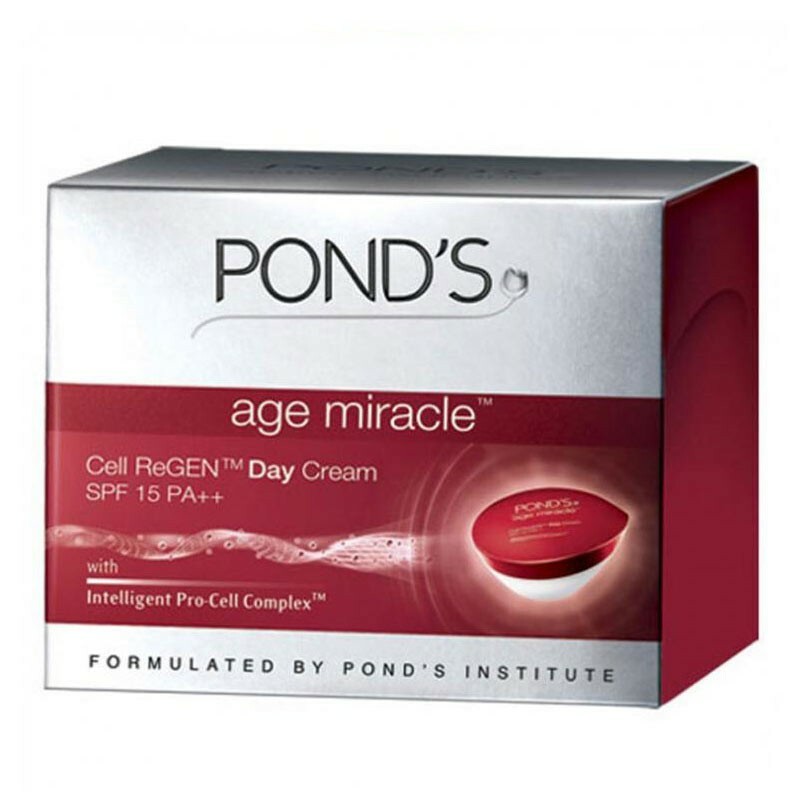 Pond’s Age Miracle with Intelligent Pro-Cell Complex™ contains special ingredients that boost collagen production while preventing dryness– giving your skin up to three times more cell renewal power.The Pond's age miracle day cream will fulfil your dream of smooth and young looking skin. This anti-ageing cream works in a multitude of ways to ensure that your skin remain vibrant and youthful. This cream comes in a smooth texture that is readily absorbed through the skin and reaches deep within to provide long lasting effects. It aids the process of skin renewal, erases fine lines and wrinkles to give you a smoother skin. Its effective ingredients also remove dark spots to let you enjoy clear skin. The cream comes with SPF 15 PA to help protect your skin against harmful UV rays of the sun. Keep your skin young, feel young. 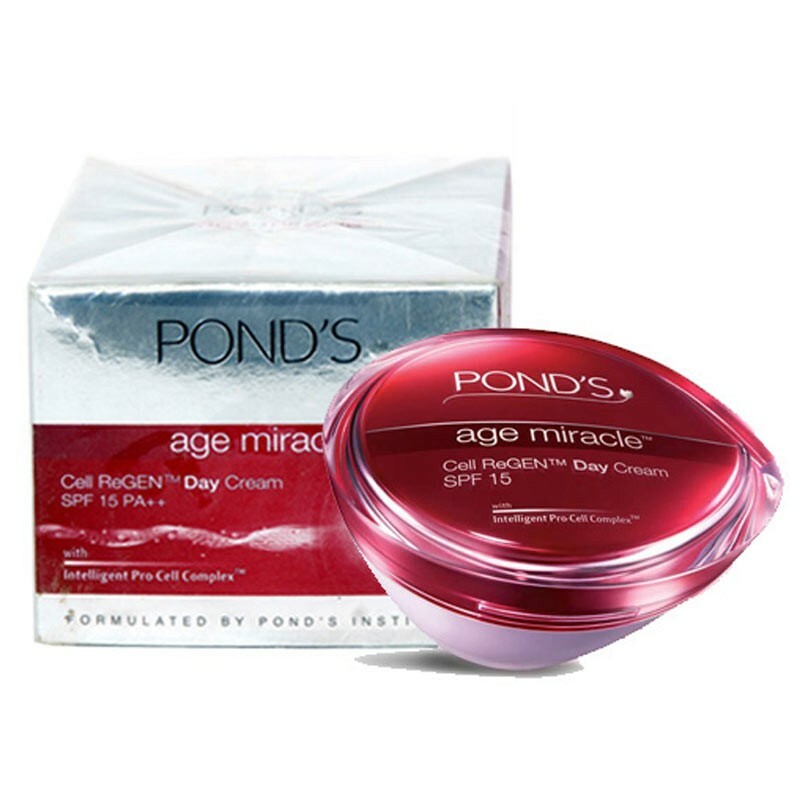 You should try the Pond's age miracle day cream immediately.